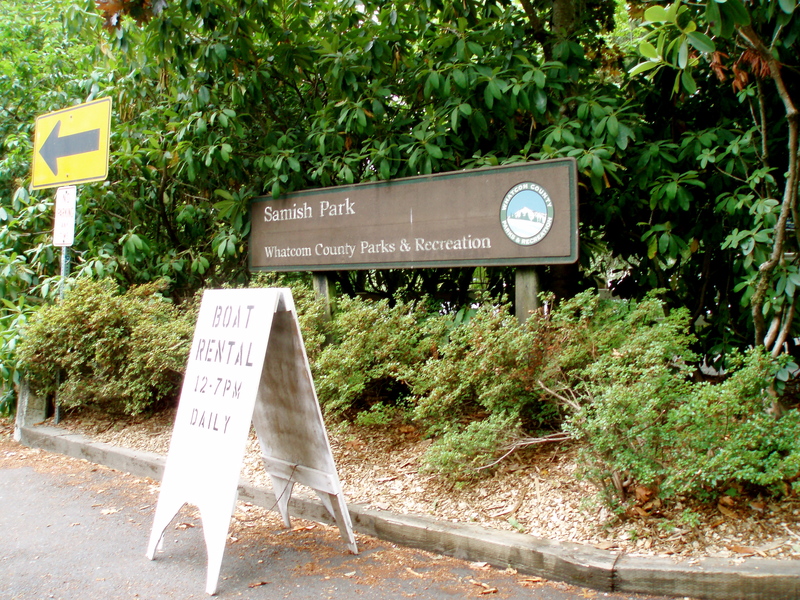 Samish Park. Watcom County, Washington | Discovered ... Right Here! With family in Bellingham, Washington, drive up I-5 from Portland is a well-driven stretch of road for me. 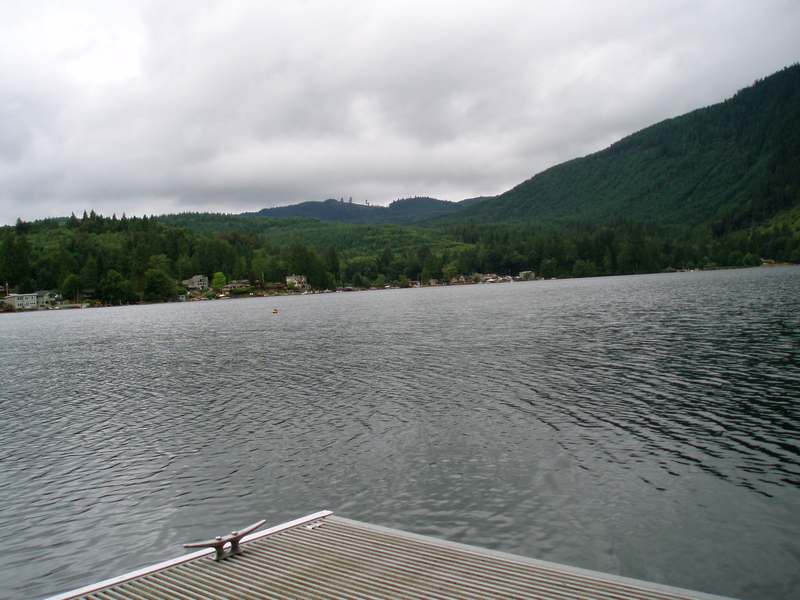 Toward the end of the drive, in the northwest corner of Washington, is Lake Samish. Throughout the summer the lake sparkles through the evergreens on the western side of the interstate. Even in dreary weather the dark blue, sometimes almost black, water glimmers for those looking. 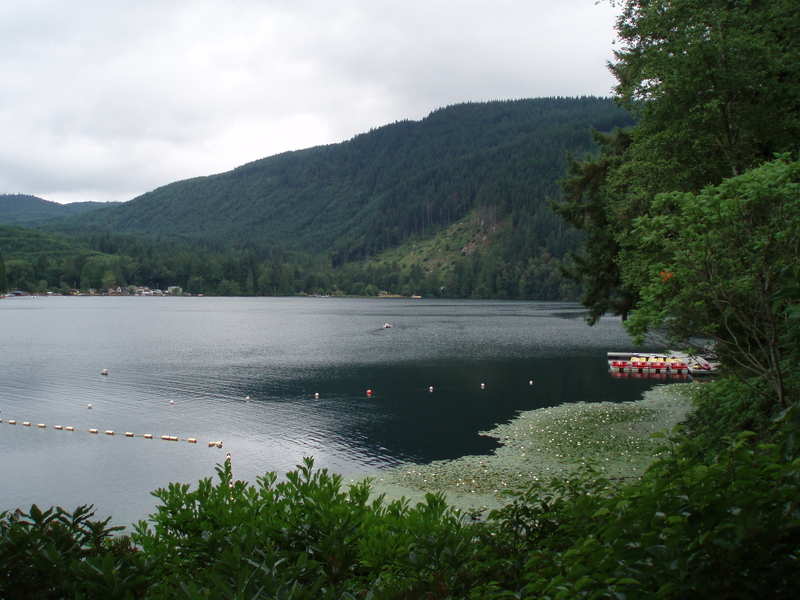 Tucked away among the evergreens and mountains, out of sight of the highway, just outside Bellingham are the houses, communities and parks of Samish Lake. In the mornings the setting is often calm, cool and peaceful, even in mid July. 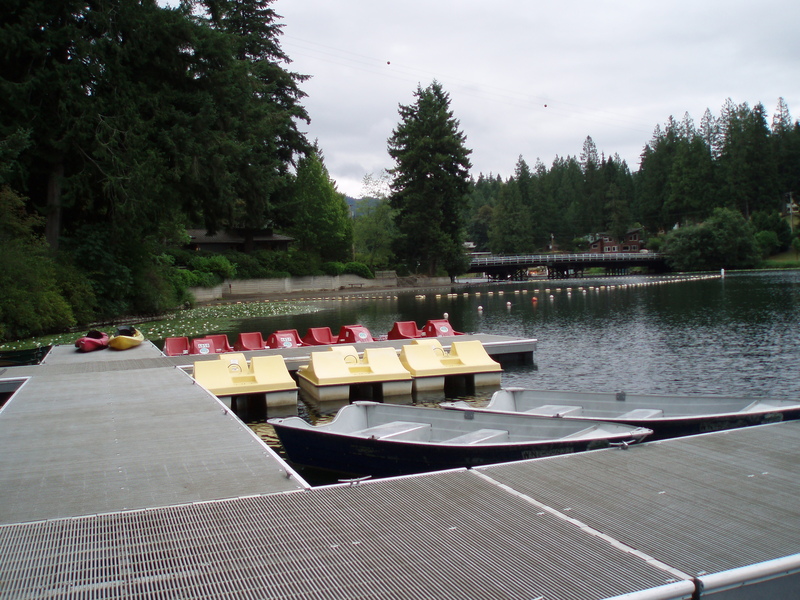 In the warm afternoons and evenings, the Samish Park on the north end of the lake beckons the warm and weary to take a dip at its little swimming beach. I have been one of those warm and weary ones and have memories of swimming there with my sister and cousin back in the day when my uncle lived out in the hills. His trailer sat parked in a small enclave of other trailers just up the road from the lake. In a community vibrant with walkers, firemen who wave at passers by, boaters and fishers, it was almost like he and my cousin were living the vacationer’s life. If you venture off I-5 at either exits 242 or 246, the lake is just a short drive away. The park is open from sunrise to sunset and the swimming area and changing house are well marked.